You might think, upon initial inspection, that the NZXT H440 Mid Tower computer case is just another well-crafted and attractive case from NZXT; and you’d be right, in the sense that it’s both attractive and well-crafted. 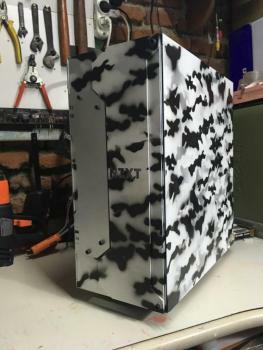 But the H440 hides several innovations under its painted steel skin, one of which will be controversial. via NZXT H440 Mid-Tower Computer Case Review NZXT H440 15671011848, 5060301691098, CA-H440W-M1, CA-H440W-W1, Computer Case, David Ramsey, Mid Tower, NZXT H440, Review.